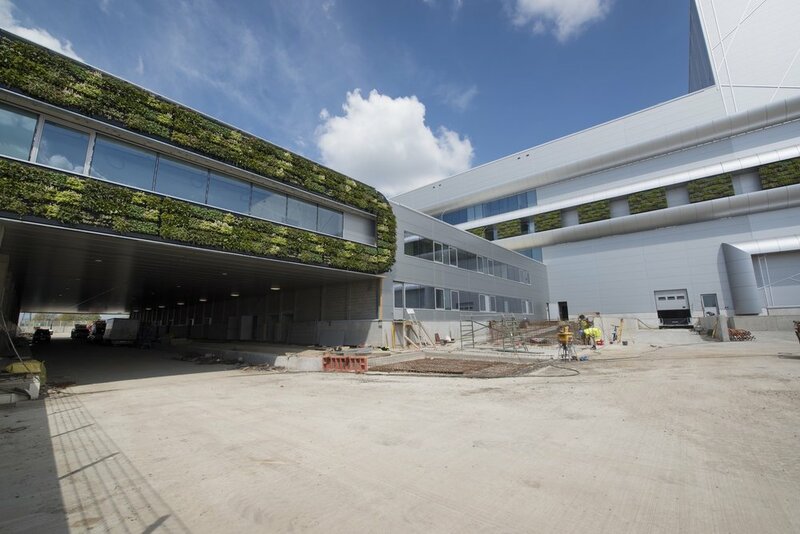 An eye catching exterior green wall installation at Nike’s headquarters in Laakdal, Belgium created by Suite Plants and architect Jasper-Eyer en Partners. 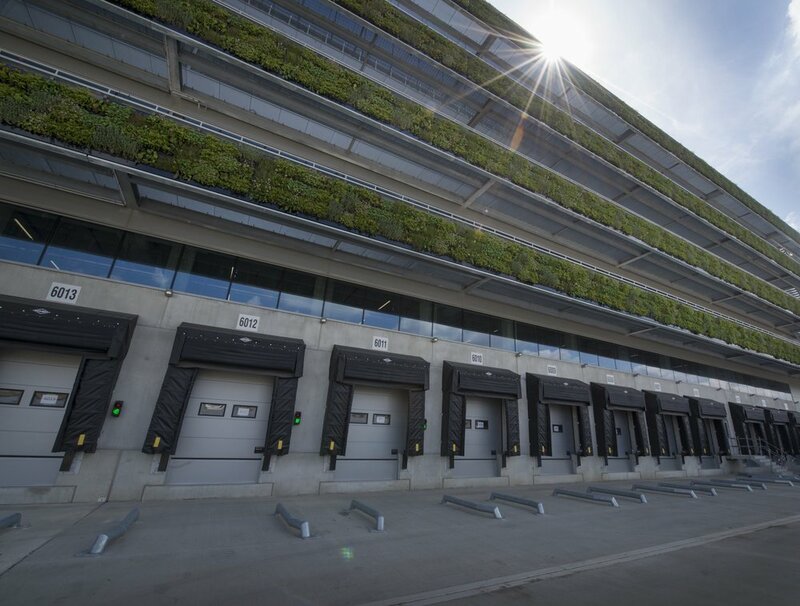 In Laakdal, Belgium, approximately 50 kilometers outside of Antwerp, is where you'll find the largest exterior green wall in Europe at Nike’s newly expanded European Logistics Campus. 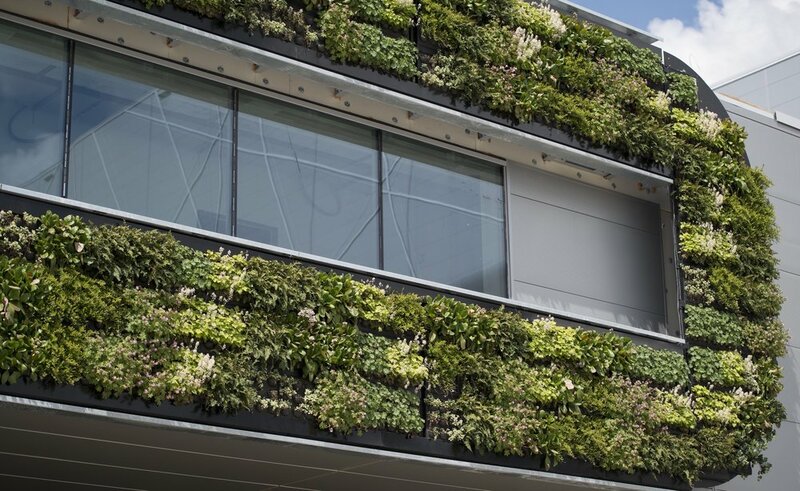 This exterior living wall spans over 23,000 square feet and contains almost 100,000 plants. 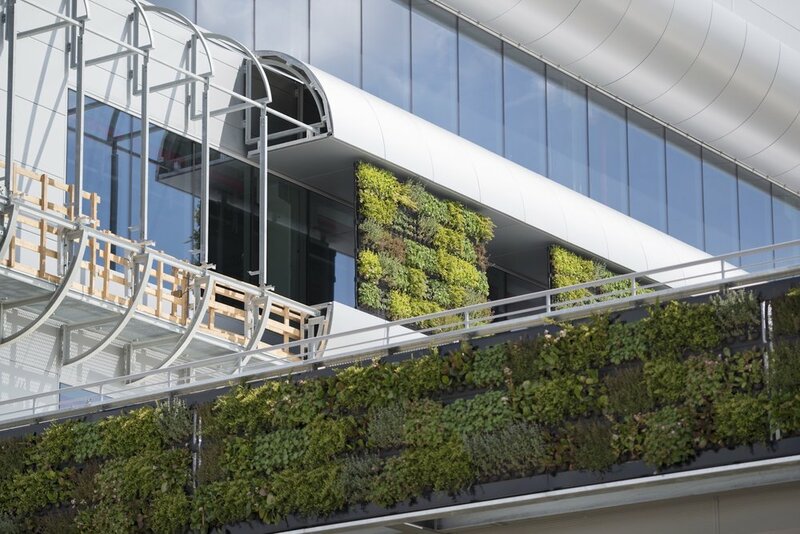 Nike required a sustainable green wall system with minimum water consumption, so BSI Bomenservice and Jaspers-Eyers en Partners Architects performed an extensive selection process evaluating all available living wall systems. The team selected LivePanel because of its minimal water consumption, relatively low weight, proven performance and excellent quality/price ratio. 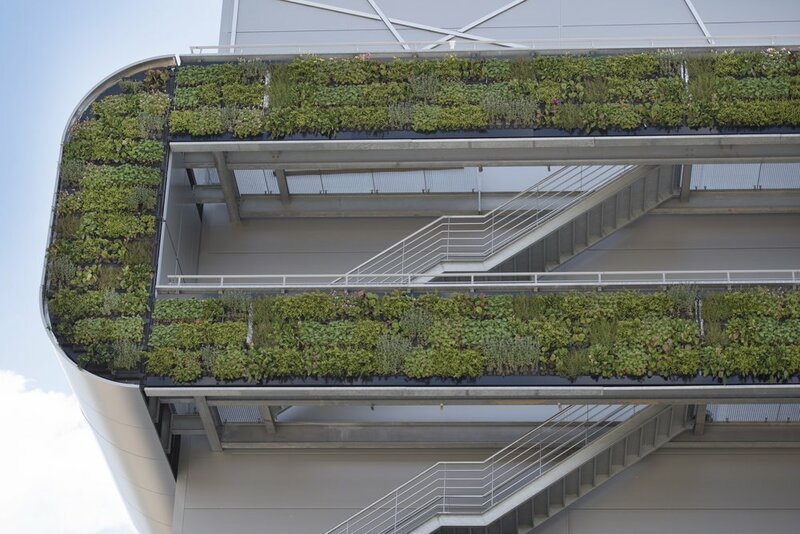 Furthermore, the plants in this exterior green wall were carefully selected in order to fulfill Nike's goal of increasing the biodiversity of the area by using green roofs and green walls to attract birds, insects and bees.